The new, authorised edition of the Wiring Rules has been published with updates to key safety areas, while workers' comp levies for seafarers have been increased by 66 per cent. Comcare's insurance scheme became fully funded for the first time in seven years by moving away from an administration-focused claims management model perceived as paying injured workers to stay at home, its CEO says. > Premiums plunge under fully-funded Comcare scheme. 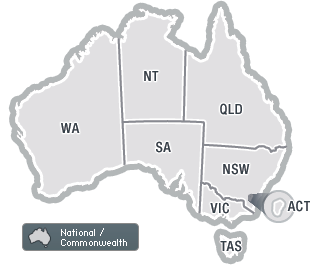 Comcare will extend its "proactive regulatory reach" and take steps to reduce workers' comp premiums in 2017-18, while Safe Work Australia will finalise its policy on harmonised explosives laws, the Australian Government budget shows. In an encouraging sign for Comcare-covered agencies, the Federal Government has predicted, in its 2015-16 budget, that Comcare's average premium rate will fall by nearly 12 per cent over the next three years. The workers' compensation schemes in five jurisdictions will be amended, and employer premiums increased, under one of the Federal Government's preferred options for ensuring catastrophically injured workers are supported for life. Comcare has assured Commonwealth agencies and licensees that their premiums won't increase as a result of the ACT leaving the scheme, while the Federal Employment Minister says he hopes to scrap "over generous" workers' comp benefits that make the scheme unviable for entities like the ACT. The Federal Government has introduced an SRC Amendment Bill to enable Comcare to collect "exit contributions" from authorities that leave the scheme, after the ACT revealed plans to develop a workers' comp system that covers its public sector employees. Proposed changes to Commonwealth safety and workers' comp laws will drive up premiums for single-state employers, increase red tape and reduce worker protections, a Senate Committee has been told - but it recommends passing the amendments.